Scotland's breathtaking vistas and spectacular cityscapes look wonderful in all seasons, of course, but there's something about winter that adds an extra touch of magic. Snowcapped mountains, glittering cities, crisp mornings and starry nights all create beautiful scenery. 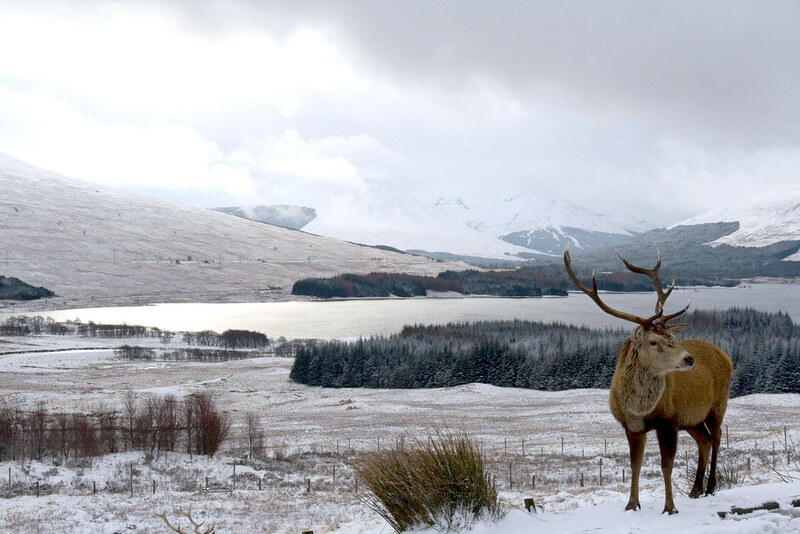 Take a look at these fabulous photographs and we think you'll agree that winter in Scotland is truly spectacular. 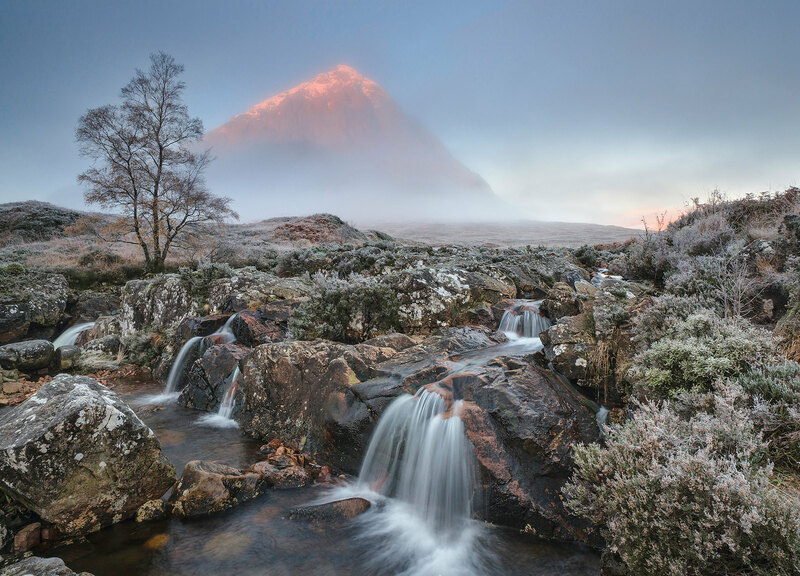 Waking up on a frosty morning is well rewarded with views such as this one of Buachaille Etive Mor near the entrance to Glen Coe. Lovely view but a tad chilly!! Herald in a new winter's day by taking a crisp stroll along the beach in Aberdeen before nipping into one of the city's cosy cafés for a hot chocolate. 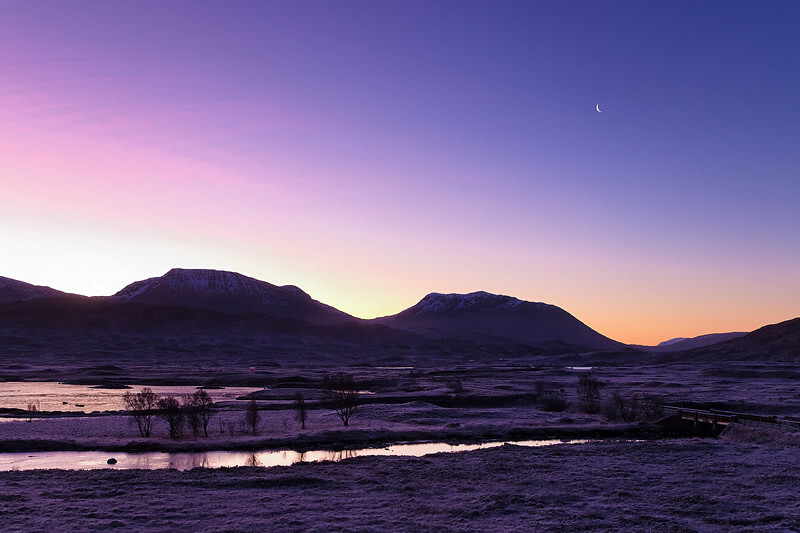 Night time in winter is beautiful - watch as the sun sets at Rannoch Moor and wait for thousands of twinkling stars. 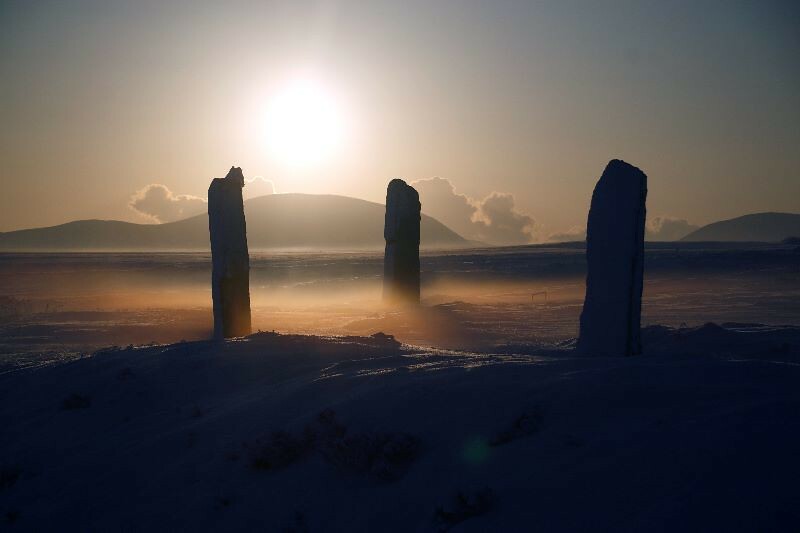 Take in the view as the sunlight casts shadows across a misty landscape at the Ring of Brodgar in Orkney. Have a magical winter experience in the city centre of Glasgow - whirl round and round on rides, skate on the ice rink and explore the cheery winter markets. 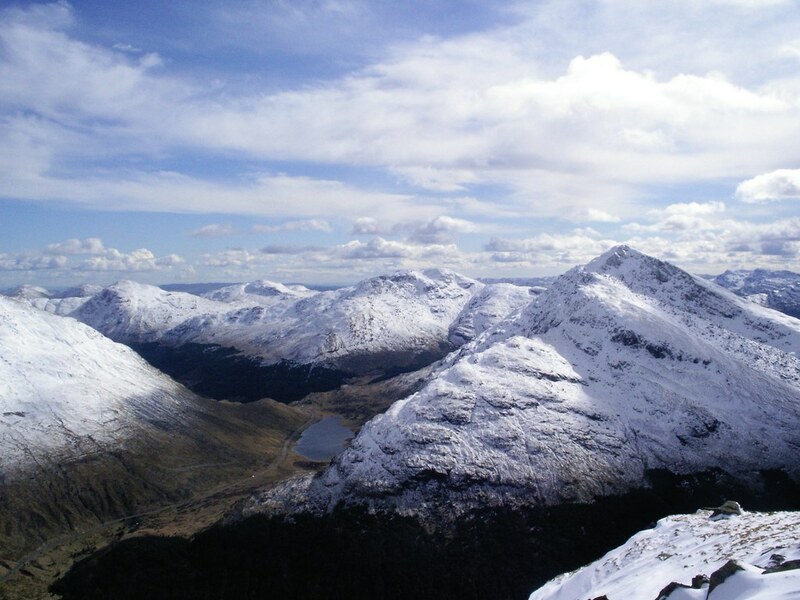 Scotland's majestic snow capped peaks are perfect for winter walks. Deer herds seek lower grazing in winter - so have your camera at the ready! Image © Neil McIntyre, all rights reserved. And be on the lookout for red squirrels too - did you know they can use their tail as a blanket in winter? Scotland's five mountain resorts come to life in winter, perfect for learning and honing your ski and snowboard skills. Soar high above Princes Street on the Star Flyer fairground ride during Edinburgh's winter festival. Or see a replica longboat go up in flames at Shetland's Up Helly Aa - what an unusual way to keep warm! Image © Sarah White, all rights reserved. The depths of winter is a great time to get amazing views of the night sky - both for stargazing, and spotting the Northern Lights. Celebrate the 'Midnight Moment' at the famous Edinburgh's Hogmanay Street Party - Scotland's biggest outdoor new year party. 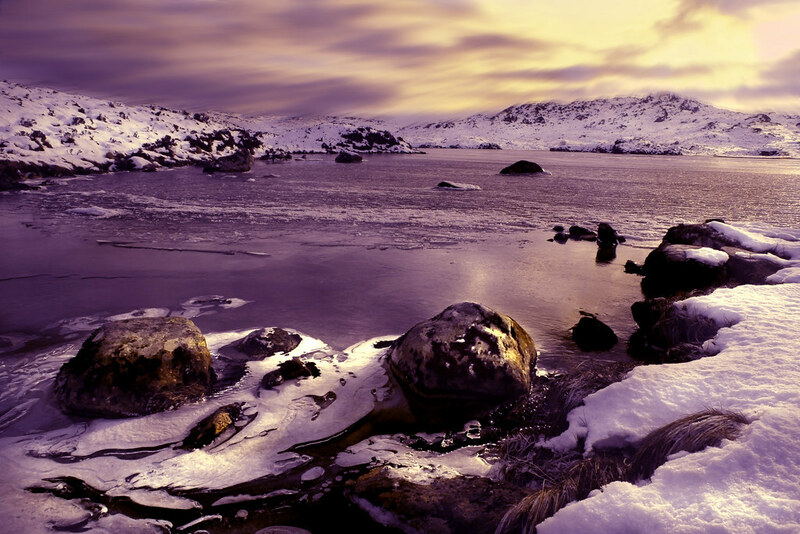 Whether you find yourself in the north or south of Scotland you can be treated to gorgeous wintry scenes - we can't guarantee the snow though! One thing's for certain - you need a thick coat to stay cosy during Scotland's winter. This Highland cow won't be beaten by the chilly conditions in Inverurie! Find a place to stay with a difference in Scotland this winter, with our pick of unusual cosy retreats.